Would you like to know what your freight is going to cost to transport to Tasmania? Fill out our Quick Quote form and we’ll get back to you with your quote. Nielsen & Johnston provide delivery from Melbourne to Tasmania in three to five working days. Nielsen & Johnston is a specialist Tasmanian carrier that is committed to providing a professional, friendly and reliable service. We are a family owned business with over 50 years experience in transporting goods to Tasmania that require personal care and attention. Have a question or want to speak to us. Just give us a call. Nielsen & Johnston is committed to providing a specialised transport service to Tasmania for goods that require personal care and attention. We have been using Nielsen + Johnston for over 20 years. We will be forever grateful for their reliability and efficiency. Nielsen + Johnston go to extreme lengths to care for their customer’s needs. They have an incredibly friendly team and I would highly recommend to contact them when in need of a quality service. You are the only people we would ever use for Tassie. Your reputation in the industry is flawless! Second Office would like to thank the team at Nielsen & Johnston for their assistance in the past, your service over the last 5 years has been exemplary and the standard of service offered by all your staff is outstanding. Since commencing to use Nielsen & Johnston as our preferred supplier, freight damage has reduced to zero. Your service is extremely fast and efficient, and your drivers are ‘the best in the business’ – always polite, efficient and helpful. It has now become habit for us to request suppliers to ship via your company where ever possible. Thank you again for your service in the past and we look forward to a long standing, ongoing relationship! I have been using Nielsen & Johnston for my inward freight from Melbourne to Hobart since 1996. They are a professional, friendly and reliable goods handler, and have been an integral part of my business success over all these years. They get the job done with a minimum of fuss, and at the best possible price. I heartily recommend Nielsen & Johnston to any prospective client. I am so glad to have found such a reliable company to do our freight distribution in Tasmania, and I believe when we are talking furniture distribution I don’t believe it can get much tougher. Tracey and her team are always willing to help. They communicate through every stage of the process and when I am based in Sydney that is a great weight off my mind. Nothing is ever too much trouble. I cannot do anymore than highly recommend Nielsen & Johnston for any logistic requirements in Tasmania. It is with pleasure I would recommend Nielsen & Johnson as a furniture and cartoned goods carrier to deliver with efficiency to Tasmanian cities and suburbs. I have used Nielsen &Johnson for over 30 years to all parts of Tasmania. They deliver in a very efficient and timely manner with goods being very well packed to avoid any damage. In fact over the long period I have been associated with this company I cannot recall having a damage issue which is a very good record as we handle large volumes of product at most times. Their delivery staff are very caring obliging people and always do that little bit extra to make the delivery experience a pleasant one. 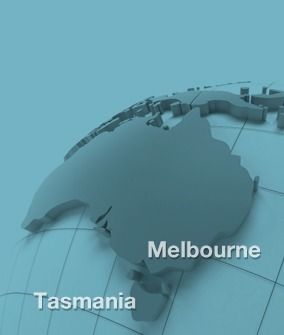 Would you like to know more about our Tasmanian delivery network?